Comments: Popular indoor container plant that is grown around the world. It is widely used in shopping malls and as a container plant in a variety of situations. 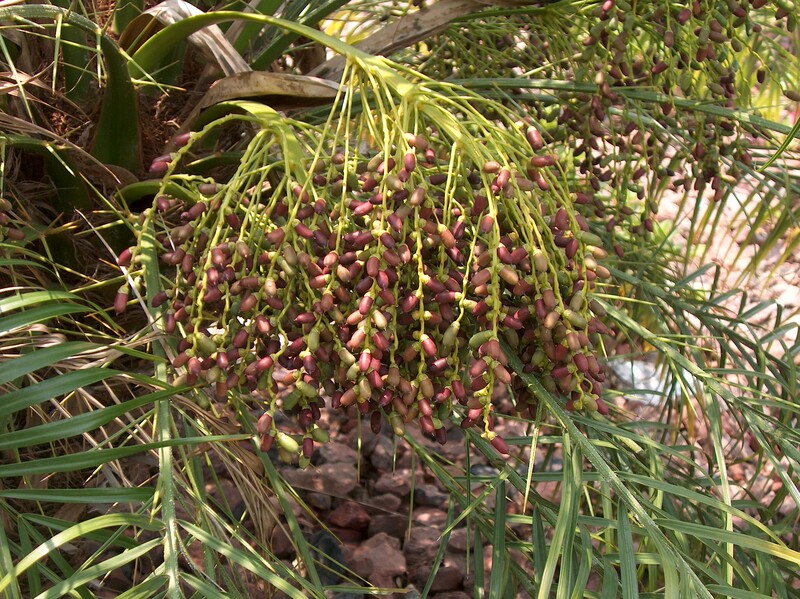 The female inflorescences are followed by small black dates. Female and male flowers are on separate plants. Grows best and development with adequate moisture, but has some drought tolerance when mature.